On the day after the lynching of Leo Frank, a crowd gathered at the site, where Frank’s body still hung for some hours. 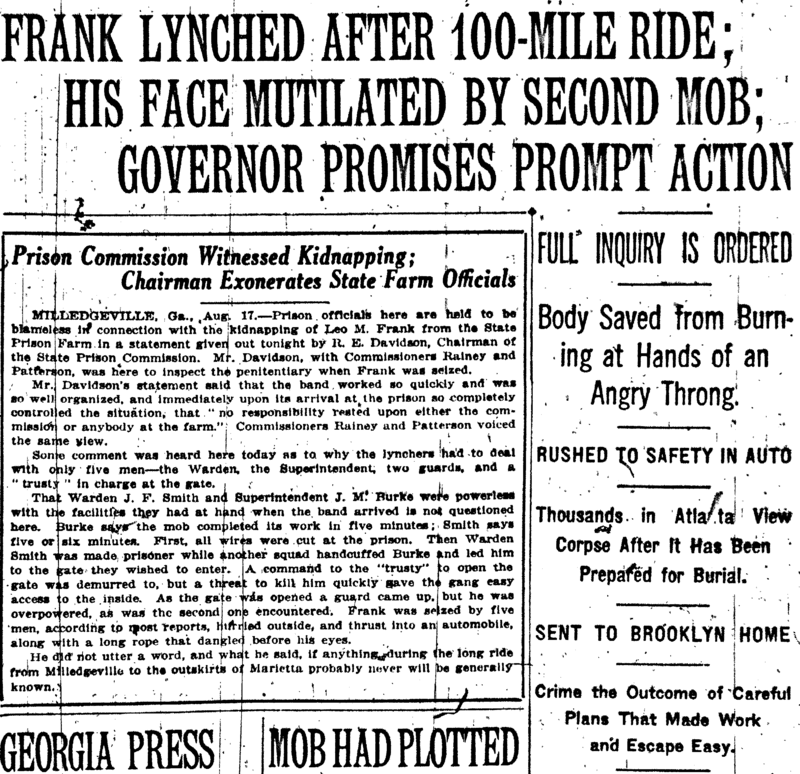 WHO LYNCHED Leo Frank? The culpability is often laid at the feet of a “mob” in the popular literature that promotes the Establishment’s narrative of the case. But was it a mob? How many “mobs” consist of the leading citizens of the community? How many “mobs” have as their leaders no fewer than two Superior Court judges? A very curious mob indeed! 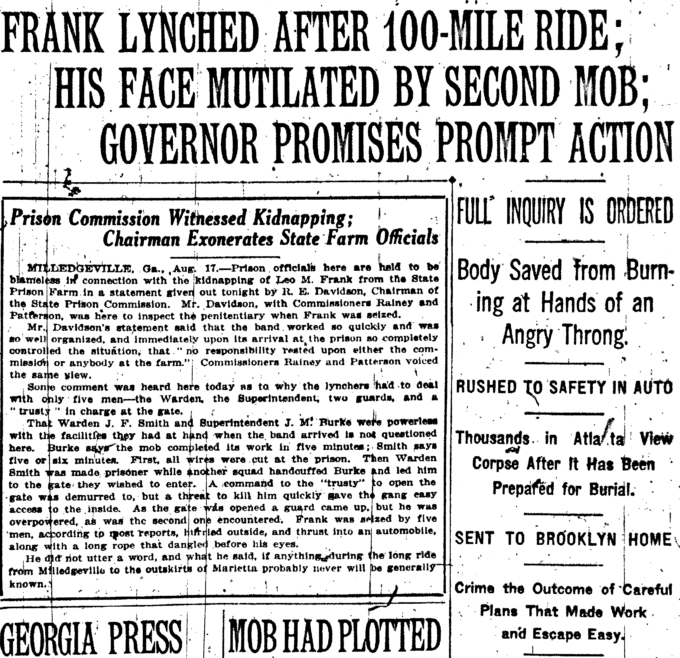 In this, the fifteenth audio segment of this ground-breaking work originally published by the Nation of Islam, part of their series called The Secret Relationship Between Blacks and Jews, we also learn that the alleged group behind the lynching of Atlanta B’nai B’rith president Frank — the so-called “Knights of Mary Phagan” — very likely never existed at all. We at The American Mercury are now proud to present part 15 of our audio version of this very important book, read by Vanessa Neubauer. Simply press “play” on the player embedded above — or at the end of this article — to hear part 15 of the book. 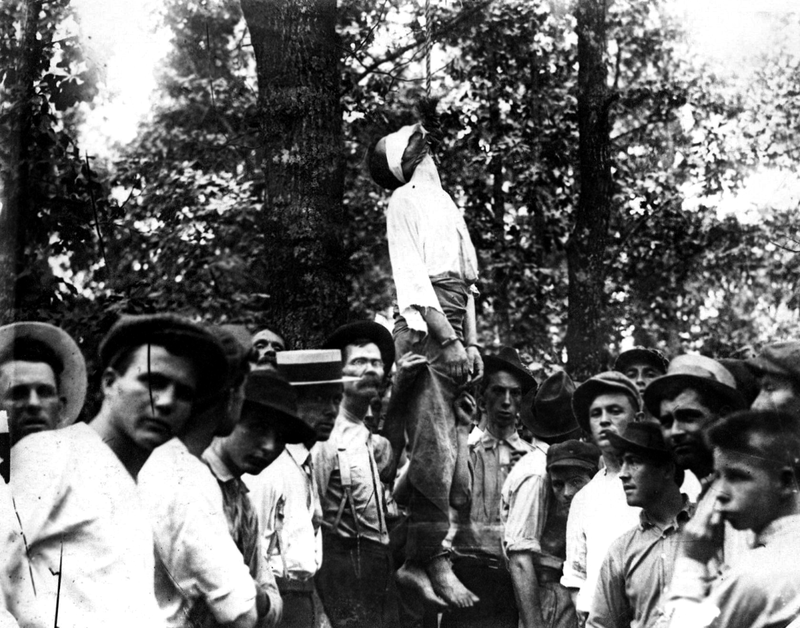 The lynching excited some contemporary calls for investigation and prosecution, but little was done and no one was ever charged. Surprisingly, the Jewish community was almost silent on the subject.